You have probably seen memes, quotes, graphics, and merch all over the internet the past few years with the phrase “I am enough.” While we have all liked, shared, and retweeted it, when will we start believing we are in fact, “enough?” Furthermore, what does being “enough” mean? 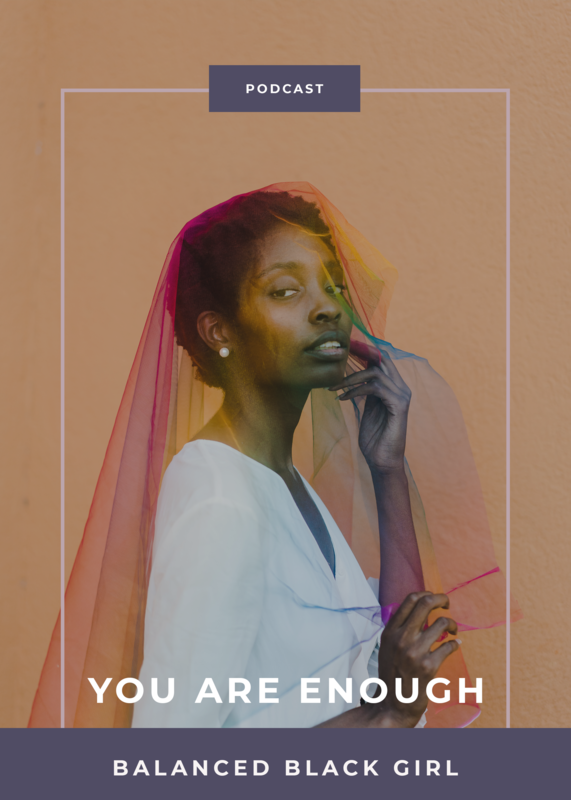 In this Feel Good Friday episode of Balanced Black Girl Podcast, we are tackling the idea of being enough, and are discussing how to actually start believing it. Because you are enough already. PS: If you really want to take your year to the next level, snag our free glow-up guide. This free guide has everything you need to implement a self-care practice that works. You’ll get daily journal worksheets, inspiring quotes, affirmations, and a bonus workout. Get the guide HERE.